As I am now in my third year of dentistry, I can safely say that it has not been an easy road to get this far. Although it feels as though time has flown, there is a lot left to be learnt in the last year and a half before we graduate. 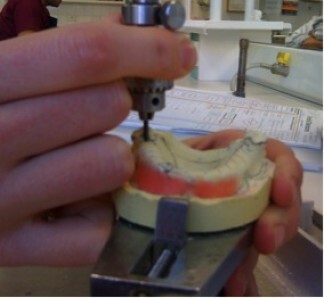 All dental students are used to long hours at Uni, lots of behind-the-scenes study and a lot of exams! While all of that doesn’t sound particularly appealing, dentistry is such a rewarding choice, even as a student. Despite not having much of a life outside of Uni, we get to make a difference in people’s lives every day, which is a privilege as much as it is a learning experience. With all the time we spend together we’ve also made some great friendships along the way, which is such a great support for one another. Although I am looking forward to graduating in a year and a half, I’m enjoying the student experience of university every day. I thought I would share a typical day in the life of a third year dental student. Today’s lecture was on the retreatment of failed root canal therapy and when to refer to a specialist. 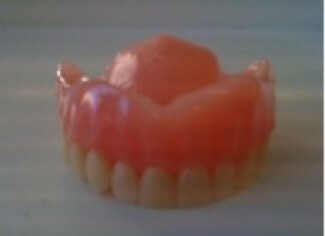 Today we are issuing a new full upper denture to a patient who has had the same denture for 20 years. My clinical partner and I have been making this denture for the past few weeks and it’s wonderful to see our patient so happy with the finished product! We are taking a secondary impression to make a cobalt chrome (metal) partial denture to replace an ill-fitting existing denture. 12:30pm – 1:30pm – Lunchtime! Although this usually turns into lab time. We pour up any impressions from the morning session now, as they need to be poured up ASAP. 1:30pm – 4:30pm – Afternoon Prosthodontics (crowns and bridges and dentures) session. This usually involves a demonstration of a procedure and then a task for us to do. Today we learnt how to repair broken dentures using acrylic, and how to fix a denture if a tooth falls off. Today’s lecture was on the reasons why we encourage patients to give up smoking in relation to their gum health specifically. Usually I get together with a group of 4 other students and review the weekly readings we are set. We all discuss the topics and help each other to understand the concepts in the papers. 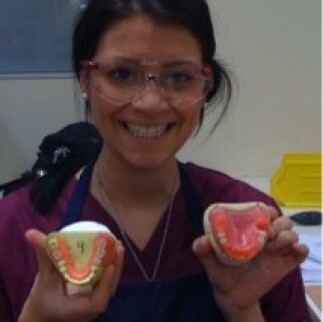 Rebecca Duke also works as a dental nurse on Saturday mornings and university holidays at Seymour Dental.